The 2016 NCAA men’s basketball champion will be crowned tonight. That’s when the North Carolina Tar Heels, the only remaining No. 1 seed in the tournament, will play the No. 2 seed Villanova Wildcats. This will be the seventh time that UNC and Villanova have faced off in an NCAA tournament. They last met in the Final Four in 2009, when North Carolina stomped out Villanova with a score of 83–69 and went on to win the title. If North Carolina prevails against Villanova on Monday, it will be the team’s third championship under coach Roy Williams, and the Tar Heels’ sixth national title. This is the 10th time that North Carolina has reached the title game. North Carolina enters the title game following an 83–66 win over Syracuse. It was the third time this season that UNC had defeated the Orange. 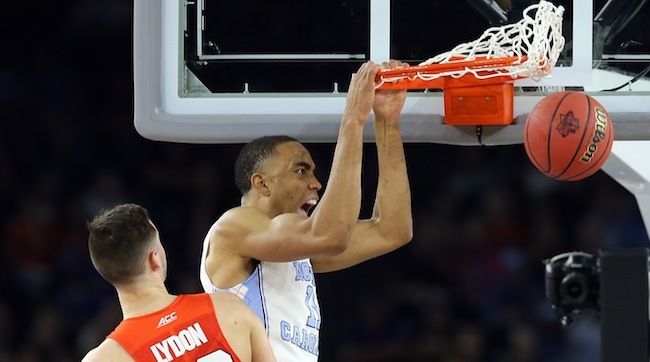 Tar Heels All-America Brice Johnson dominated the court on Saturday, just as he did in the two previous Syracuse match-ups. He scored 16 points and had nine rebounds. Justin Jackson tied Johnson as UNC’s leading scorer with 16 points, and Kennedy Meeks added 15 points, along with eight rebounds. The Tar Heels shot 53.8%, although they only went 4 for 17 from the three-point line. On Saturday night, Villanova obliterated Oklahoma, beating the Sooners 95–51. The Wildcats’ 44-point margin of victory is the largest in Final Four history; it is also the largest in NCAA tournament history. 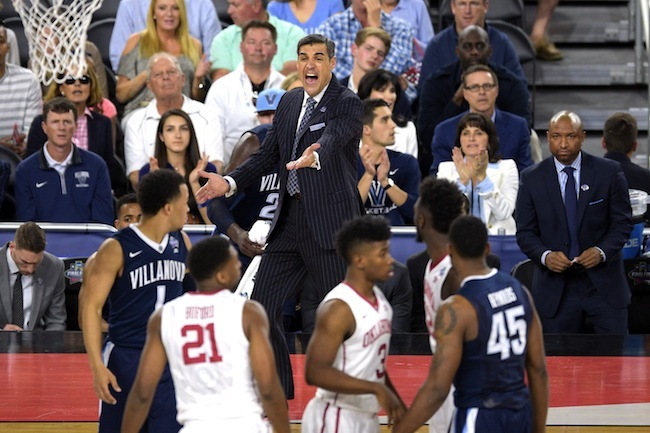 When the Wildcats and Sooners met in regular-season action, Oklahoma soundly defeated Villanova 78–55. But things worked out much differently on Saturday when Villanova shot 71.4% from the field and 61.1% from three-point range. Josh Hart led Nova in scoring with 23 points. Villanova won four of its five tournament games by 19 points or more; the Wildcats won one of those five games by five points. During the tournament, they have been 48 for 98 from the three-point line (48.9%). That ranks them as the best three-point shooting team in the nation. Villanova and North Carolina play tonight at 9:19 ET on TBS.